I’ve been working last weeks on improving the packaging of the Mattermost app for Yunohost. Mattermost is a self-hosted alternative to Slack. It has web, desktop (Windows / Mac / Linux) and mobile apps (iOS / Android), supports markdown syntax in messages, webhooks, and many integration to third-party services. It is GPL-licensed (although there is a commercial extension for Entreprises under a proprietary license). LDAP support is missing, because Mattermost provides it only as a commercial extension. Subpaths are not supported by Mattermost. Everything should pretty much work – but I’m interested in feedback, and ironing out the last issues. Ces dernières semaines j’ai peaufiné les scripts de packaging de Mattermost pour Yunohost. Mattermost est un chat en ligne – une alternative auto-hébergée à Slack. Il propose une appli web, des applis mobiles (iOS / Android) et de bureau (Windows / Mac / Linux), du markdown pour formatter les messages, des webhooks, et plein d’intégrations avec des services tierce-partie. Le code est sous licence GPL (cela dit il existe une extension commerciale propriétaire pour les entreprises). Il n’y a pas de paquet compilé pour ARM (même si en théorie le serveur en Go devrait être compilable pour ARM). Normalement tout devrait fonctionner – mais je suis intéressé par des tests et des retours, pour poncer les aspérités qui pourraient encore être là. Hi, I would like to give it a try ! I do not fully understand, is this a webclient or a server ?  I have installed it on my Yunohost. First of all I have to say it’s very impressive to have such a powerful piece of software installed in one click… This is the magic of Yunohost ! Maybe you should tell on the installation page that the first signup will be admin ? Works perfectly, the email is well sent, the confirmation button works great ! If we can interact with the Yunohost SSO this will be a real killer app ! Can you help me understand how I should configure push notifications ? I chose the fist option and it works but it looks like I’m using Mattermost servers ? I would like to have TLS used on my URL. Should I input the certificate file in the admin panel ? Hey, thanks for the test! Glad to know (almost) everything went smoothly. Hmm, right. I guess I could ask for the admin email, password and first Team name right before beginning the installation: it would then allow to connect the first user directly to a working chat room. Do you think it would be better? Oops, right – I definitely should do this. Better user experience, and it would get the email working. Push notifications should just work after the installation, without changing any setting. However mobile push notifications (for iOS and Android) require a developer account and API key/certificates – so the default settings use a server provided by the Mattermost project for relaying push notifications. This is why you see push notifications configured to go trough http://push.mattermost.com in the settings. For people preferring to use their own push notification relay, it is possible to self-host it (https://github.com/mattermost/mattermost-push-proxy) – but then the admin need to manage themselves the API key and renew the push certificates periodically (which is why the default setup prefers the automatic approach). Mattermost can generates its own TLS certificates (using Let’s Encrypt) – but as we are using Yunohost, this is not required (and disabled by default). Normally TLS should already be available through the nginx configured by Yunohost, so simply accessing https://your-mattermost-domain.tld should work. Thanks for raising these usability points! I’ll try to see what I can do to fix the low-hanging fruits. This would be far better in my opinion ! Thanks for this explanation ! Do you think there is a security issue to use the mattermost push server ? Indeed, self hosting looks doable but a bit too complicated for my simple use. It works indeed. I just choose the “TLS” option without doing anything more. Maybe you could make that one by default, since we are all on Yunohost (hence all using https) ? You’re welcome. The app is already really usable ! I did remove it then re-install it without any problems. @Limezy I just pushed an updated version of the Mattermost package to the Community Apps list. This means a Mattermost update should appear in the Yunohost control panel. Hello does anyone using Mattermost with the Yunohost Community package. I have a strange thing i am on the 4.6 Enterprise version. Is it normal, does anyone push the enterprise edition to package ? @madmaxlamenace I’m checking the URLs, and indeed the package downloads the tarball for the Entreprise Edition, and not the free Community Edition. Feature-wise, this is stricly the same (Entreprise Edition features are not unlocked unless a serial key is provided). But this creates a licensing problem, as the EE doesn’t have a free licence (and the CE does). I created an issue for switching to the free package (https://github.com/YunoHost-Apps/mattermost_ynh/issues/108); I’ll fix it once back from travelling. Thanks for the report! To help, i can try if nedded,i use it in production with a few users in a LXC container so the rollback is easy for testing. By my side i create a github account for me and forked the mattermost_ynh package. I changed the source in package for the community team 4.10 with checksum etc. @madmaxlamenace Nice ! May be you could make a pull request on Github to ask for integrating your change on the main repo ? Don’t hesitate if you have question on how to contribute on app packaging / core development. je viens de découvrir slack qui est un discord like et c’est trop bien, mais c’est mieux quand ont peux installer tout ça sur notre chéree yunohost, qu’elle bonheur quand je vois que c’est possible, sauf que ça ne fonctionne pas sur ma config, est ce que c’est à cause que je suis sur un raspberry ? 81960 WARNING Mattermost requires an x86_64 machine, but this one is 'armv7l'. 81962 WARNING   mattermost's script has encountered an error. Its execution was cancelled. 86448 WARNING /var/www/mattermost wasn't deleted because it doesn't exist. 86449 WARNING /home/yunohost.app/mattermost wasn't deleted because it doesn't exist. 86451 WARNING /etc/nginx/conf.d/.d/mattermost.conf wasn't deleted because it doesn't exist. Oui, c’est à cause du Raspberry, cf premier post ! bon comment faire, il faut que je m’installer un autre serveur x86 chez moi ? 1960 WARNING Mattermost requires an x86_64 machine, but this one is ‘armv7l’. Tu peux toujours louer un petit VPS en attendant !